You are here: Home / What is a real biodegradable bag? What is a real biodegradable bag? 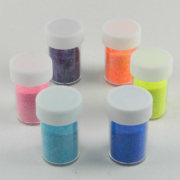 A few days ago,one of my customer ask me for some biodegradable glitter,also she wants package in biodegradable bags. Because she thought biodegradable bags would be PERFECT!I cant agree more. 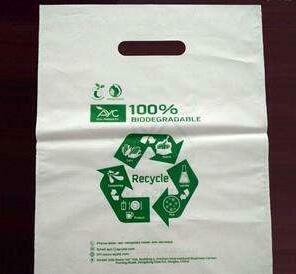 We never use biodegradable bags before but what my job is to solve problem for our customer. EPI and D2w,the most two hot “biodegradable bags” now,why there is a double quotation marks here? For example:usually we use PE to make a plastic bag.But now,we only need to mix some EPI or D2W material into the PE material.Both D2W and EPI are biodegradable. The addition proportion of D2W and EPI is 1% to 3% . EPI formulations catalyze or accelerate this reaction and increase the rate of the degradation by several orders of magnitude – i.e. 100’s to 1000’s of times faster, making plastic incorporated products degrade and physically disintegrate within a few weeks to 1-2 years, depending on the formulation and the disposal environment. That is to say:The plastic bags degradable into very very small pieces!!! Spain, from January 1, 2018, forbidden on free polluting biodegradable plastic bags. 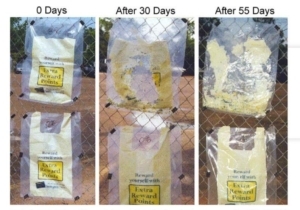 The Spanish legislation listed bags that can be oxidized, photochemically degraded, hydrated and thermally degraded as the most polluting bags (D2W/EPI biodegradable plastic, pseudo biodegradable, as the most polluting), and the recycling rate of such disposable plastic bags is only 10 percent. 4.So What is a real biodegradable bag? I dont think epi or d2w is suitable for our customer even though I quoted her the price of d2w.I checked many information and found an new material:PLA. PLA is a new kind of biodegradable material, which is made from starch from renewable plant resources (such as corn, cassava, etc.). Starch raw material is glycosylated to obtain glucose, which is then fermented into lactic acid with high purity by glucose and certain bacteria species, and then polylactic acid with certain molecular weight is synthesized by chemical synthesis method. It has good biodegradability. After being used, it can be completely degraded by microorganisms in nature under specific conditions and eventually generate carbon dioxide and water without polluting the environment. This is very beneficial to environmental protection and is recognized as an environmentally friendly material. I changed into PLA even though we lost some money. 5.What about your biodegradable glitter?? Our biodegradable glitter is made from eucalyptus trees,which is can be compostable. We are the first batch company who can provide biodegradable glitter and package in biodegradable bags!! 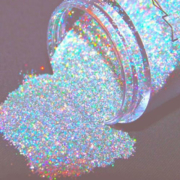 https://www.fineglitterpowder.com/wp-content/uploads/2018/11/pla.jpg 274 296 fineglitterpowder https://www.fineglitterpowder.com/wp-content/uploads/2018/09/logo.png fineglitterpowder2018-11-28 07:08:572018-11-28 07:08:57What is a real biodegradable bag?